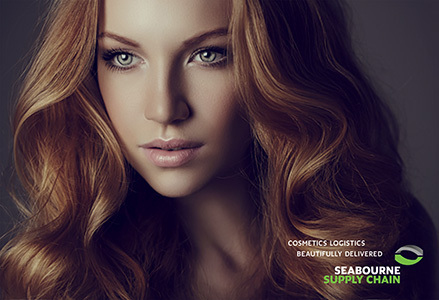 Seabourne Supply Chain is the perfect partner to cosmetics businesses when it comes to handling the logistics of their precious products from start to finish. A one-stop-shop to offer all of the services that small or large businesses need to transport, store, track and distribute everything from the finest raw materials to the final product, Seabourne provides personalised logistics solutions that are secure, flexible and fast. Thanks to its live product tracking system, companies will always know exactly where their goods are at a given moment for ultimate peace of mind. Stock management will become effortless thanks to Seabourne’s world-class inventory management system. What’s more, every customer receives their very own support representative, so that there will always be only one name they need to talk to. One cosmetics company that trusts Seabourne is Su-Man Skincare. Farooq Chaudhry, Co-Founder and Director at Su-Man Skincare Ltd., explains why: “When we first met Seabourne, they were just starting to offer their services to companies within the cosmetics industry and we could tell that they had a real desire to grow with their clients. They were ambitious like us, and they were flexible to adapt to our needs. Also I trusted the people I met at Seabourne. They truly cared about us and had a real commitment to our business. If you would like to discuss your logistics requirements, please contact Seabourne’s business development team on 01604 – 490590 or email cosmetics@seabourne-group.com for further details, quoting the reference CLC15.